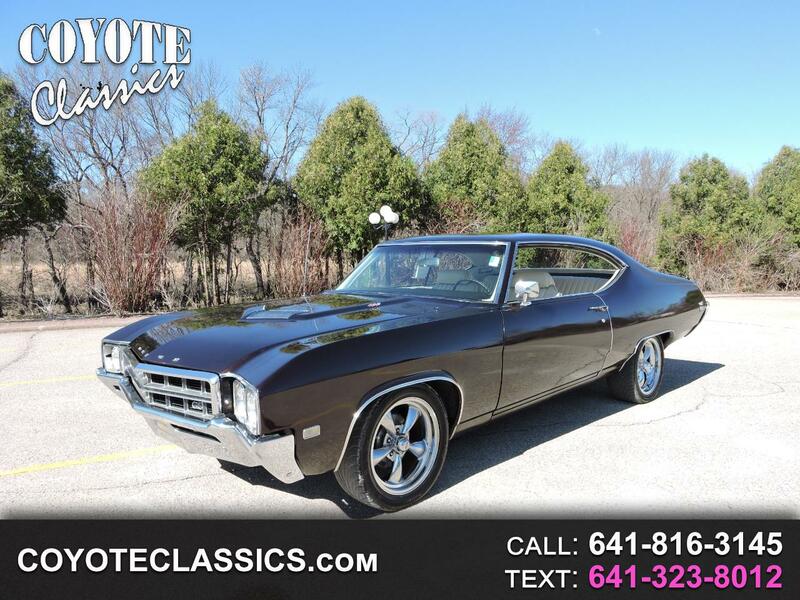 Just in is this 3 owner 1969 Buick GS 400 powered by its rebuilt original #'s matching 400 engine and backed up by its automatic transmission. It comes equipped with power steering, air conditioning, dual exhaust, Somatic AM Radio, American Racing Torque Thrust rims, and has 88,000 original miles. Its Exterior Maroon paint is older but still has a nice shine on a very straight and solid body. Its undercarriage is also very clean and original. Its pearl white original bucket seat with console interior looks nice throughout with minimal wear. Its numbers matching motor has been rebuilt approximately 14,000 miles ago and runs great. With only 88,000 original miles this car handles the road excellent and is ready to enjoy. This GS 400 is a blast to drive and is one nice&Clean Classic car investment!